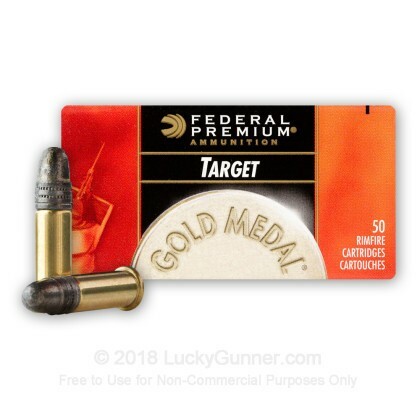 Federal Gold Metal Target ammunition is a high quality choice to feed though your favorite 22 LR firearm. 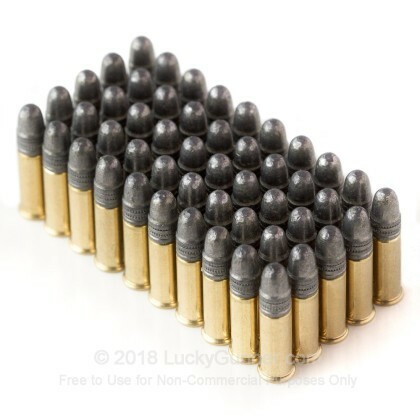 These rounds are designed to be a top performing target ammo that are reliable and extremely consistent. 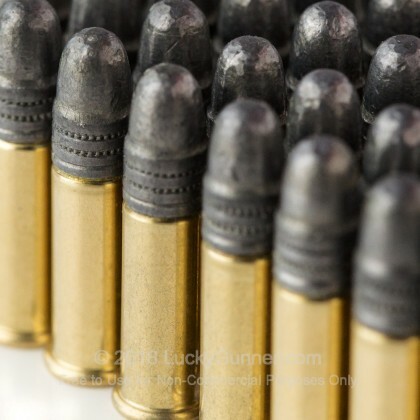 Federal loads these rounds into brass cases that carry a 40 grain solid point projectile that leaves the barrel around 1,080 feet per second. Federal advertises the Gold Metal line of rimfire ammo as an option for serious competition shooters who are looking to bring home gold. 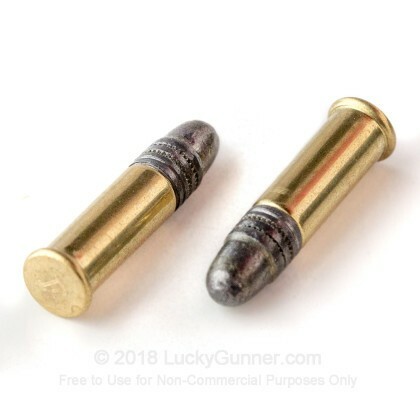 Aside from competition shooting, these make great rounds for plinking as well if you are tired of the misfires and inconsistency that some bulk 22 LR ammo exhibits. Since 1922, Federal has been producing high quality products that shooters use and trust. Federal is a member of Vista Outdoor who also manages dozens of name brand outdoor companies like Savage Arms, Blackhawk, Bushnell and many others. Their ammo is manufactured in a few locations in the United States with these 22 LR rounds coming from their Anoka, Minnesota headquarters. 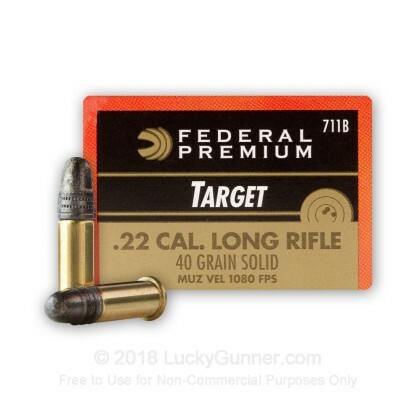 Before your next day out on the range, pick up a few boxes of this high quality 22 LR ammunition from Federal and enjoy the Gold Metal level of performance that these rounds offer! We also have this 22 LR - 40 gr Subsonic - Federal Gold Medal Target - 500 Rounds ammo in stock in a bigger quantity. 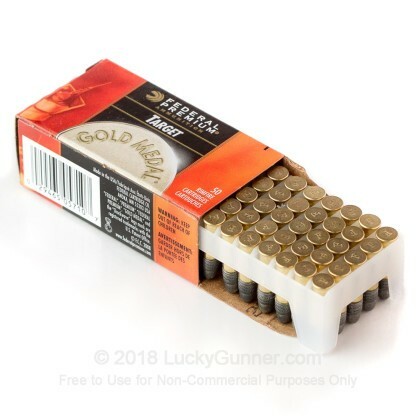 We also have this 22 LR - 40 Grain LRN - Federal Gold Medal Target - 5000 Rounds ammo in stock in a bigger quantity.